If you value quality monitoring, it's worth investing in a good pair of headphones. Here's a selection of premium models from some of the leading manufacturers, with links to the SOS review where available. The KNS 8400s are KRK's first headphone design. 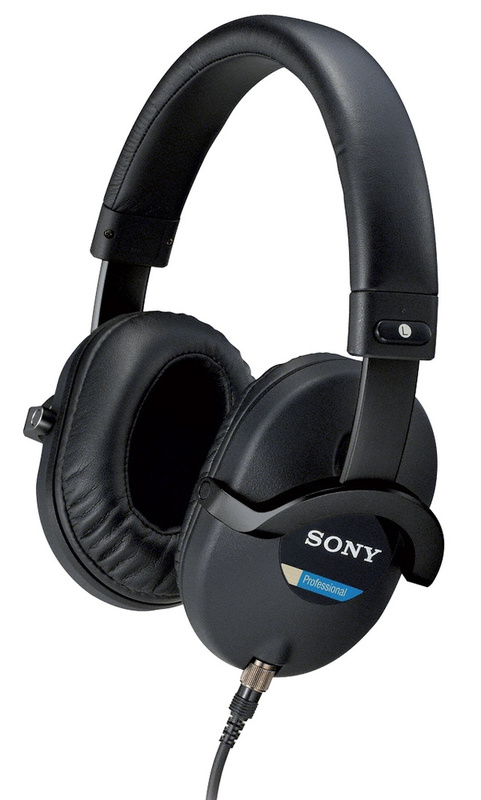 They are light and comfortable (the ear cushions are made of memory foam), and their emphasis on the mid-range makes them useful for checking mixes. Ultrasone are unique among the manufacturers here in that they truly specialise in headphones — they don't make anything else! All their models, including the top-end Pro 2900, use what Ultrasone call S-Logic 'Natural Surround', whereby the drivers aim at your outer rather than inner ear, which apparently yields a more natural sound. The closed-back design of these headphones is claimed to offer outstanding isolation, which should make them suitable for tracking purposes. The headband is self-adjusting to ensure a comfortable fit for most users. 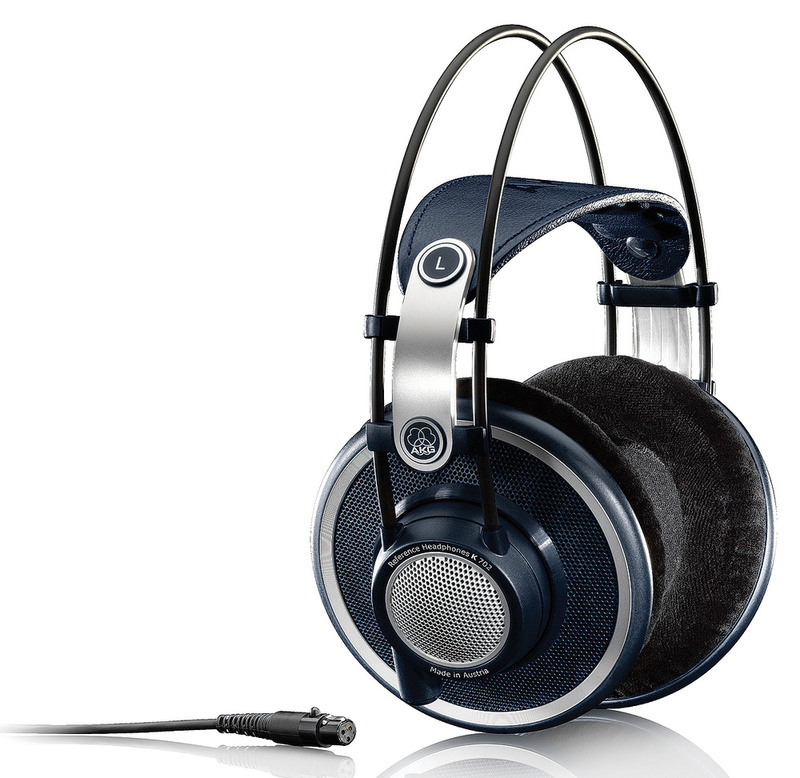 The handmade HD800s employ an open-backed design featuring a large, ring-shaped transducer that Sennheiser say gives them an "unheard-of” distortion performace. The drivers are also angled relative to the listener's ears, which apparently better approximates the sound of listening to a pair of speakers. The 'Pro' version of Beyerdynamic's established DT990, these headphones have a lightweight diaphragm, which is said to endow them with a very fast transient response. They are open-backed, and so should be suitable for mixing. 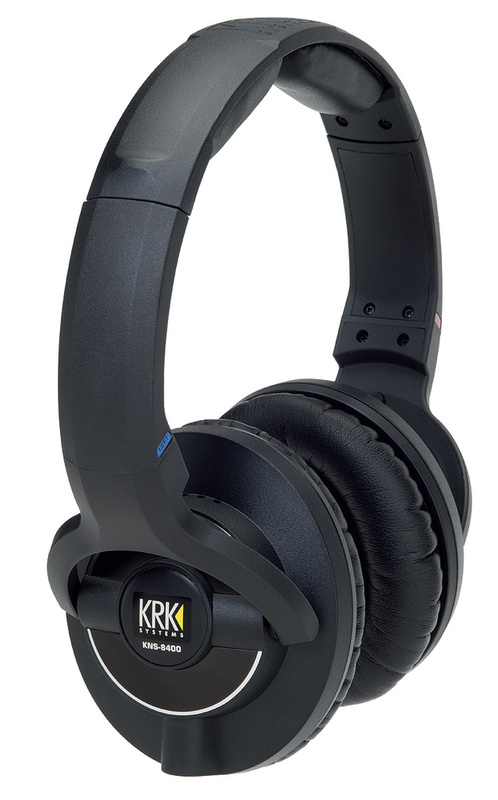 When we reviewed them, we found the K702s comfortable, revealing and with a well-balanced sense of bass. They have a slight high-frequency emphasis that helps to bring out detail in the source material, but without sounding fatiguing. Audio-Technica's flagship ATH M50 is a closed-back design, and is said to offer extremely good isolation. Their relatively low impedance (38Ω) should mean that they'll work well with pretty much any device, from high-end headphone amps to consumer music devices. 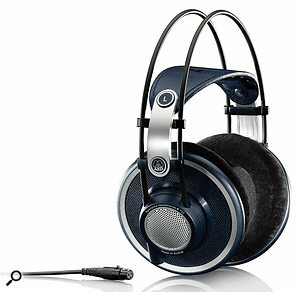 These are Fostex's first "high-end” headphone design. The earpads are made from leather, for maximum comfort, and the diaphragms are constructed using a bio-cellulose fibre, which apparently doubles their velocity for a fast transient response. These closed-back headphones offer good isolation and low leakage, which bodes well for tracking. 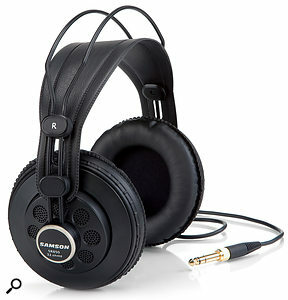 Their low impedance (24Ω) means that they should work well with pretty much any headphone amp. 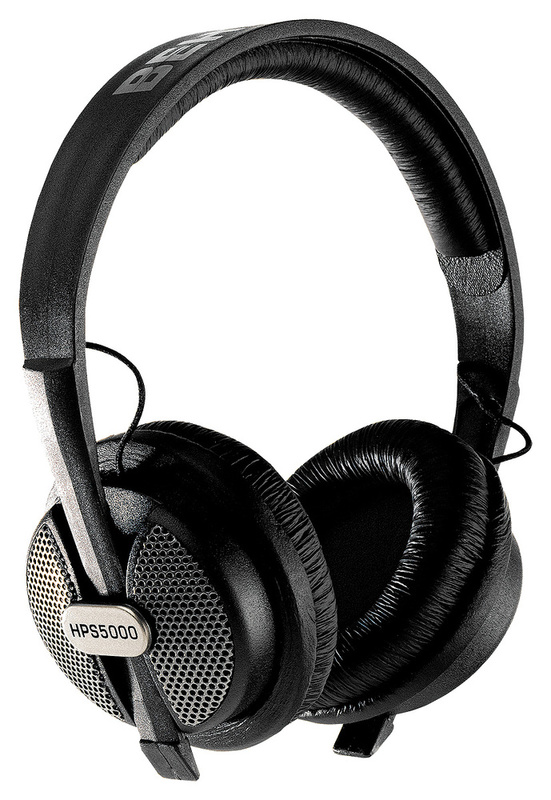 Offering "high-definition bass and ultra-transparent highs,” the HPS5000s are, like most Behringer products, affordable. 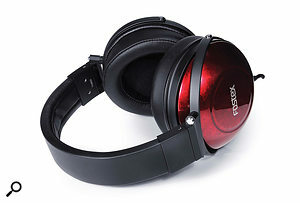 Their closed-back design should make them suitable for tracking, so they might be an ideal choice if you need several pairs of headphones for recording multiple musicians at a time. When we reviewed these premium open-backed headphones, we were very impressed by their sense of detail and clear stereo imaging. 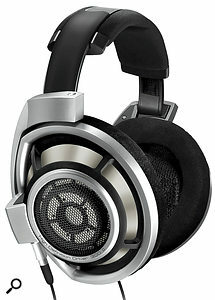 They also proved to be extremely comfortable, even over extended listening periods. Headphones solve a number of significant studio problems, and as such represent a wise investment for any musician or engineer. 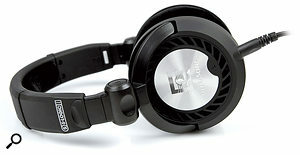 Closed-back headphones, like those on the left, offer reduced spill at the expense of some clarity. The obverse is true for open-back designs, like those on the right. Whatever type of music you work with, a good set of headphones will almost certainly be an essential part of your studio setup. There are two main types of headphone, however — open-back and closed-back — and which type you should go for will ultimately depend on what kind of work you need them for. 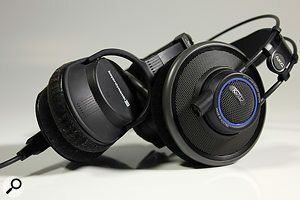 Open-backed headphones are widely considered to be the most accurate. This is because, as their name suggests, the outward-facing (back) side of the driver is, to a greater or lesser extent, exposed to the outside world. 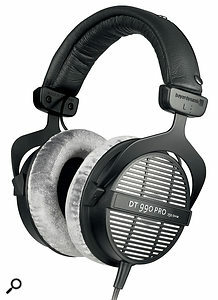 In practical terms this means that the drivers are able to move more freely than they are in closed-back designs, resulting in greater efficiency, lower distortion and a better transient response, with fewer unwanted reflections from the enclosure finding their way back to the listener's ears. Such improved sonic performance comes at a cost, however, and that cost is greater leakage. In some circumstances this might not be too much of a problem: if your main use for headphones is simply to mix late at night, when excessive noise from your monitors would otherwise provoke the ire of your neighbours and cohabitants, then the spill from an open-backed pair of cans would likely be untroublesome, and the freedom to turn your speakers down means you can continue to work into the early hours. Where it becomes an issue, however, is during tracking. Say you have a musician recording along to a click track, for example: if the leakage is excessive, the sound of the click coming through the headphones could quite easily find its way back into the musician's microphone, which is obviously a bad thing! The solution, in that case, is a closed-back headphone design. Explicit in their name is that closed-back headphones have the rearward-facing side of the driver sealed off. The benefit of this is less leakage, of course, and the inevitable trade-off is a slightly more 'boxy' sound, because the sound that would otherwise leak out is reflected back to the listener's ears. 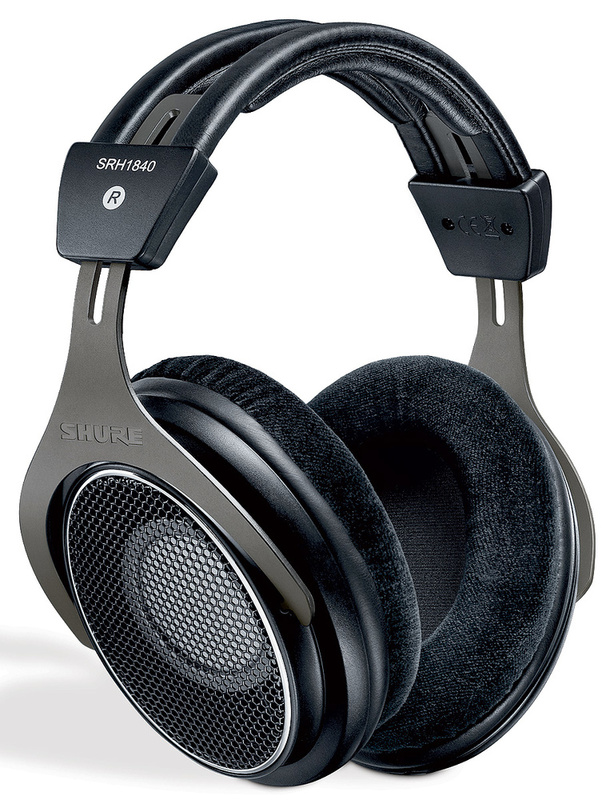 When tracking, however, absolute clarity is arguably not as important as it is when mixing or mastering — the musician simply needs to hear what they're playing, and what they're playing along to — and since leakage in a recording is rather difficult to mask or get rid of, a slightly compromised foldback sound is universally considered preferable to a leaky pair of headphones. 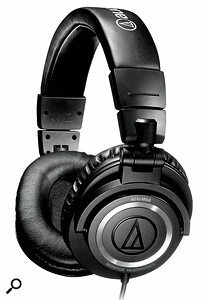 That said, closed-back headphones have come a long way in recent years, to the point where many of the mid-level and premium closed-back designs are perfectly suitable for mixing and even mastering. If you do most of your studio work on your own, including playing instruments or singing, then it may well make sense to invest in just one pair of good-quality closed-back cans, which you can use for tracking as well as late-night mixing sessions. If, on the other hand, your time in the studio involves only mixing or mastering — or you don't work with acoustic instruments at all — then you can ignore the issue of headphone spill entirely, and enjoy the increased clarity of open-backed cans. 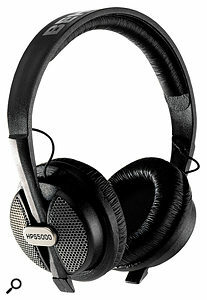 Headphones provide one more major advantage, and that is that they bypass acoustics problems in your monitoring system. Improper acoustics are the enemy of accurate monitoring, and though such problems can be vanquished with acoustic treatment relatively easily, many home-studio owners seem reluctant to do so! Whether it seems like too much effort, or the resistance of wives and landlords to the installation of acoustic treatment is too great, it seems people are always trying to find a way around the issue. There is only one such way, and that way is headphones: their representation of low frequencies is unencumbered by the laws of physics that plague loudspeakers in small rooms, and though the experience of headphone listening is very different from that of listening to loudspeakers, headphones are an invaluable monitoring tool nonetheless. A good pair could well highlight problems with your mixes that you otherwise wouldn't have known about at all!